Hi! 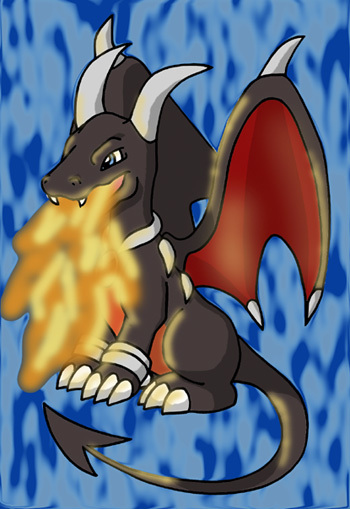 This page is where I can show off a bit of what I do for people on other sites (namely "The Pokemasters"). I draw some of my own work, which is almost always pokemon stuff, and I also get pictures for myself and other people from my three favorite things: Pokemon, Kirby, and Digimon. I also like Hamtaro too, but there aren't that many pictures from Hamtaro. (If you have any, feel free to email me @ azumarril_16@yahoo.com!) And because I like sharing my favorite things with the community of the Internet, I'll share my favorite characters from each of the animes I watch, and talk about what they are for those who don't know. Baby Mewtwo!! From Pokemon: The First Movie's deleted scenes! Misty giving an order to her Corsola, I believe. It's from an episode that has yet to air in the US about Misty & Sakura at the Cerulean Gym. It's Meta Knight! He's jumping down off a rock to prepare to battle Kirby! A nice picture of Ken and his digimon, Wormmon. They just happen to be my favorite pair from season 2 Digimon. It's from the episode where Ken and Matt (Yamato) go to Mexico. 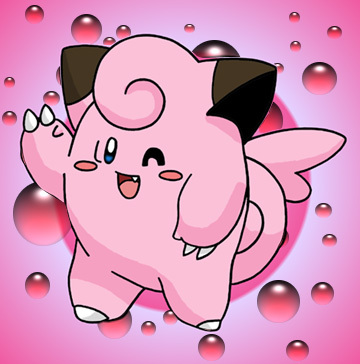 My own drawing colored in Photoshop of Clefairy!